Undoubtedly, there are potential homebuyers who may be somewhat reluctant to purchase a new manufactured home because of concerns regarding wind safety. Many are those in storm prone areas of the country, and have vivid images of news coverage following tornadoes and/or hurricanes depicting “mobile homes” damaged or destroyed by high winds. What most don’t know, is that those images were sometimes sensationalized and did not necessarily reflect damage incurred by other types of homes in the path of the same storm. That being said, the mobile home of the past and the manufactured home of today have little in common when it comes to wind and storm safety. 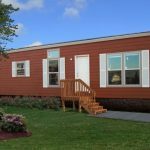 The advancements in manufactured home building technology and federal regulations specific to manufactured homes have contributed to a well documented wind safety record. In 1974 the U.S. Congress passed the National Mobile Home Construction and Safety Standards Act, (HUD CODE). 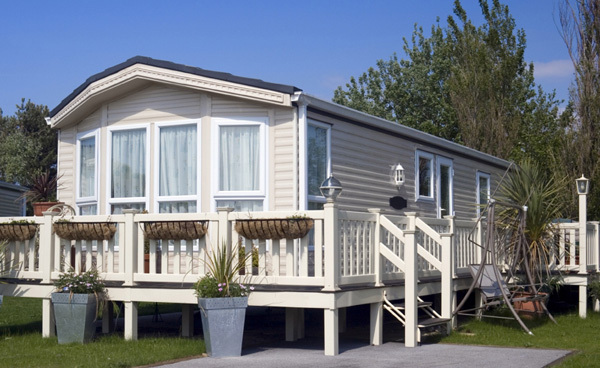 Manufactured housing is the only form of single family housing subject to a federal code. 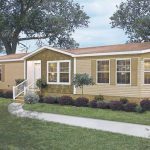 The HUD Code requires manufactured homes to be in strict compliance with health and safety standards. Wind safety is one of the important requirements of this legislation. The HUD wind and storm regulations were implemented in 1980 and amended in 1994 requiring manufactured to comply home building standards in designated storm susceptible regions of the country indicated on the HUD Wind Zone Map of the U.S.A.
One of the many regulations is that exterior walls of a manufactured home are to be tightly engineered to withstand multiple forces, and the weight of the roof bearing down on top of the walls. There are also specific regulations regarding the home installation and ground anchoring to resist wind forces as required by the HUD Zone Map designation. The three Wind Zones subject to HUD regulations are noted on a map of the U.S. as roman numerals. HUD Zone III: Areas where the base wind speed is 110 mph (fastest mile.) This zone includes the Gulf coasts of Texas, Louisiana, Mississippi, Alabama and Florida. This zone also includes the Atlantic coasts of Florida and the entire eastern seaboard. HUD ZONE II: Where the wind speed is 100 mph (fastest mile) . This zone encompasses the inland areas of those designated in HUD Wind Zone III. HUD ZONE I: HUD design wind load speeds are based upon wind pressures and include the rest of the country beyond Wind Zones II and III. A recent study by Dr. K.R. Grosskopf at the University of Florida found that not one manufactured home built after the 1994 HUD Code changes was destroyed or seriously damaged by four hurricanes that struck Florida in 2004. The same phenomenon occurred in the Gulf Coast region during Hurricane Katrina, with newer manufactured homes performing beyond expectations.